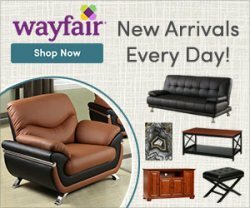 Lewis Center Ohio is a shopping and business mecca. 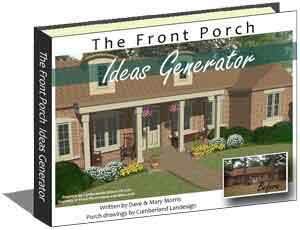 You might be pleasantly surprised at the small front porch designs and front yard landscaping we discovered. Located on the outskirts of Columbus Ohio, Lewis Center is a bustling community with Alum Creek State Park just down the road. 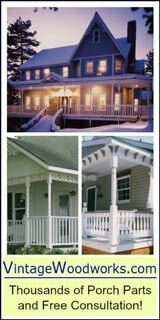 I used to compete in duathlons on Alum's roads and trails and knew we had to explore its neighborhoods - full of eye-catching front porches. 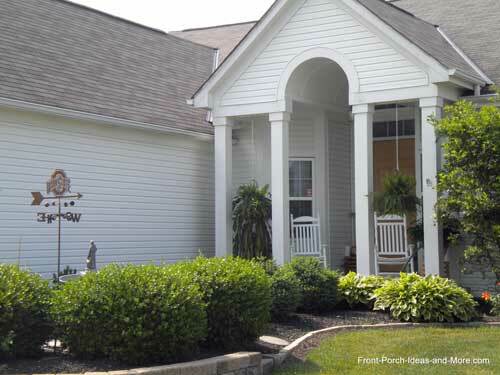 Not only were the Lewis Center Ohio front porch designs rather unique but also the front yard landscaping configurations. 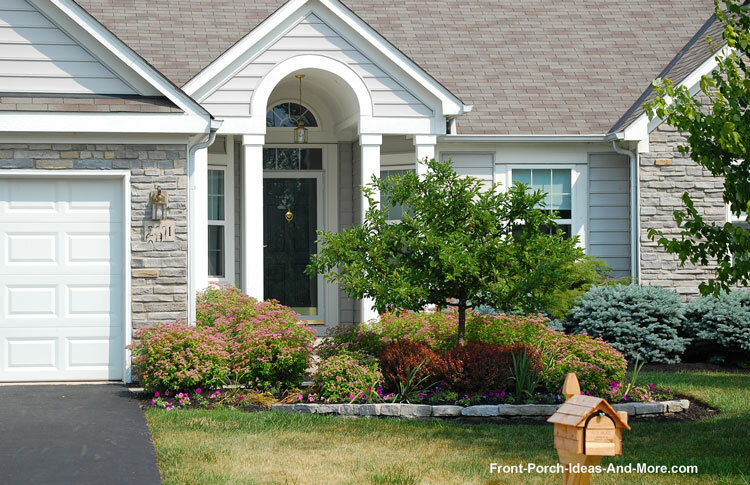 We'll show you similar porch designs with different landscaping so you can see how subtle changes affect the overall look. 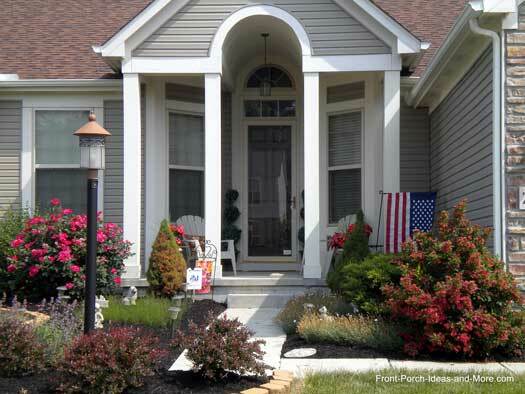 Let's start with the same front porch design and change the color and landscaping - see the results. 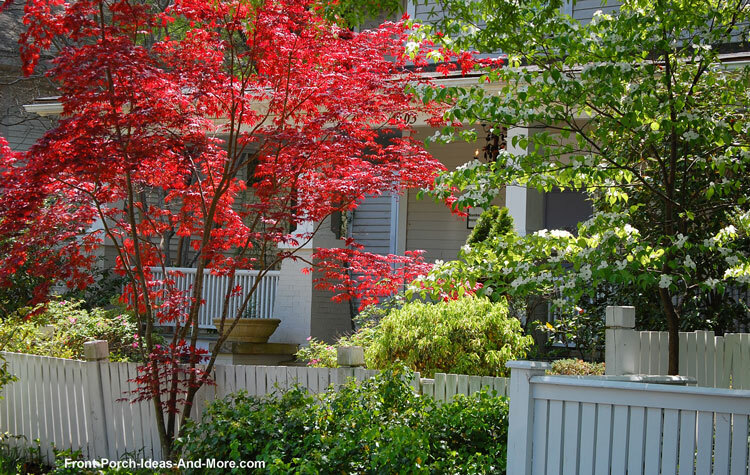 This landscaping requires regular maintenance but is interesting and gives some privacy from the street. 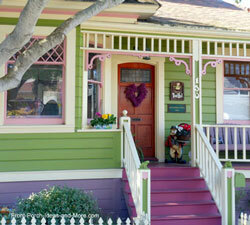 Same porch design but this has a more formal appeal. 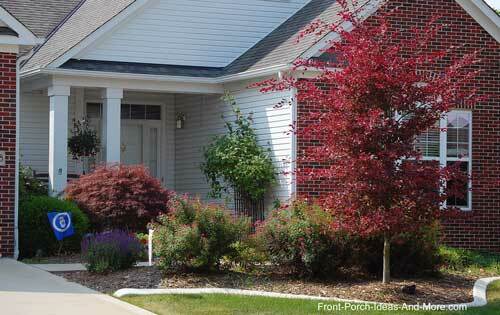 Keeping the landscaping low makes the porch appear more stately. 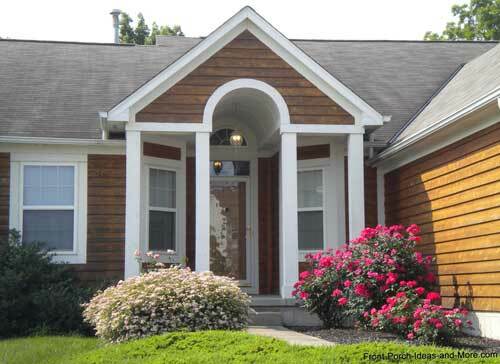 This works nicely because of the natural wood look on the gable. A little bit country. 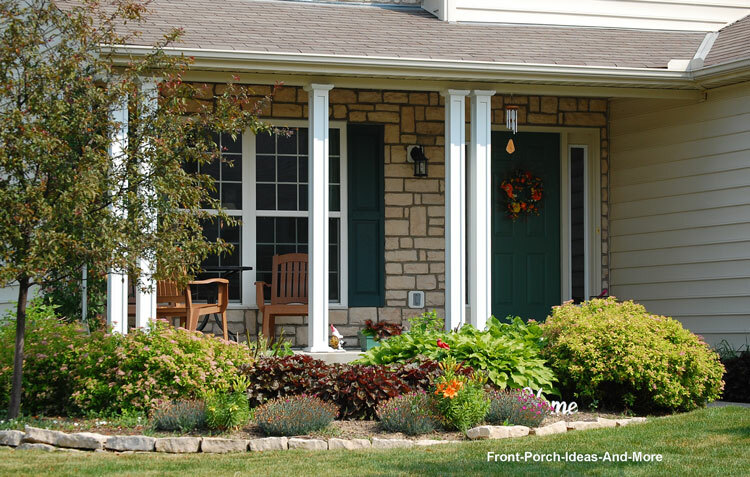 Although the porch design isn't necessarily country the amenities and landscaping create the overall look. All dressed in white. The weather vane and bird bath add interest and of course we love the rocking chairs! Mary and I like what we call "soft landscaping". 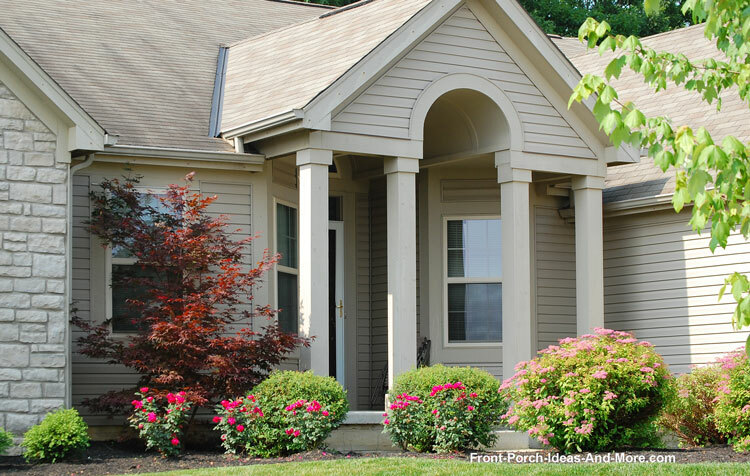 This front porch is an excellent example of using broad leaf plants in lieu of evergreens or other more substantial foliage. 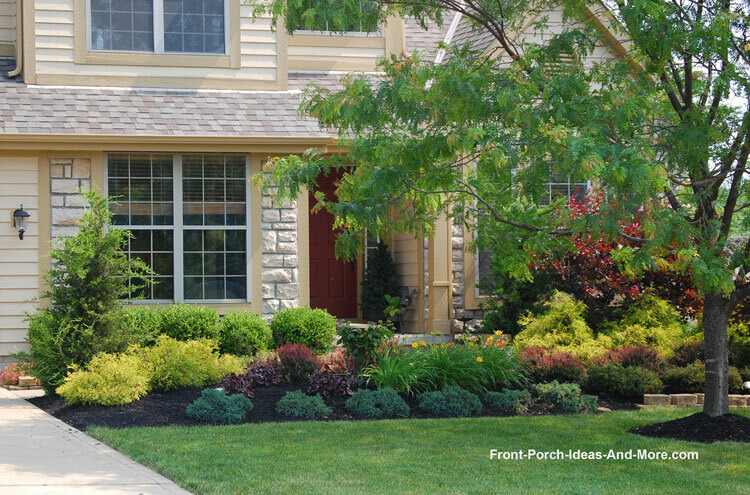 Lewis Center Ohio porches use landscaping to create a little privacy. The small bench is a nice place to relax with a morning cup of coffee and is somewhat shielded by the plantings. 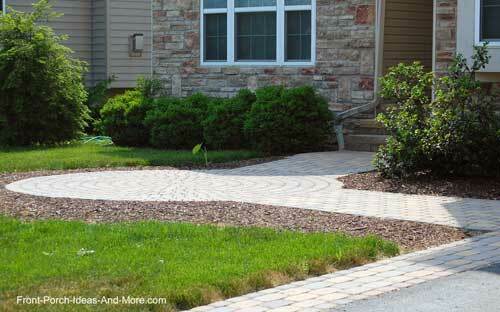 I like the continuous concrete edging. 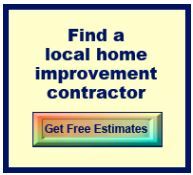 It would have more appeal if it were kept level across the yard instead of following the slope. 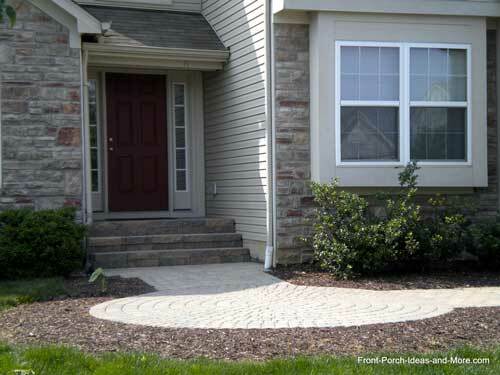 Although not landscaped we wanted to show you a variation of porch walkway ideas. 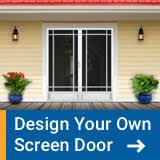 This is not only creative, but aesthetically adds more expanse to the porch and adds interest to the front of the home. 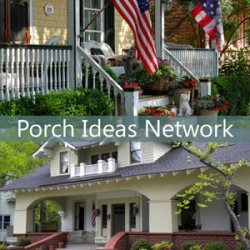 This is an easy way to add more space to your porch; be sure to see our patio ideas section for ways to increase the size of a small porch. 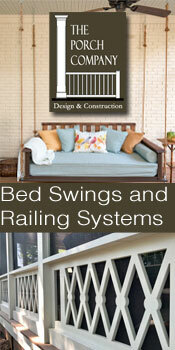 It is easy to extend a small porch for added outdoor space. In the photo below, a patio area was created adjacent to the existing porch. 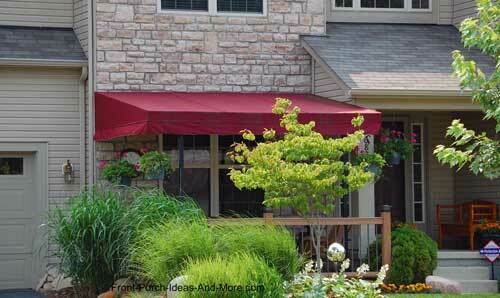 As an added bonus, a functional and beautiful awning creates much needed shade. 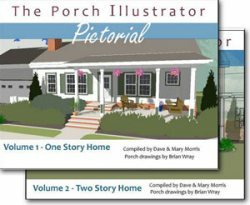 Please stop by to see the lovely porches of Durham NC in springtime.